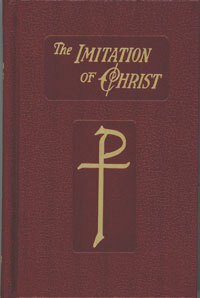 The Imitation of Christ by Thomas à Kempis is a spiritual classic that has been helping Catholics for centuries to come closer to Christ. This hardcover edition in a convenient prayerbook size will become a tr easured part of your prayer life. It includes a helpful index as well as full-color sections on the Rosary and the Stations of the Cross. Buy one for yourself and give one away as a bea utiful and thoughtful gift!